Tim Golden is an investigative journalist who is on leave from The New York Times (where he is a senior writer and a contributor to TheNew York TimesMagazine). Golden graduated from Dartmouth College and was a Nieman fellow at Harvard University. Golden is a fellow in The Bernard L. Schwartz Fellows Program with the New America Foundation, as of 2010. 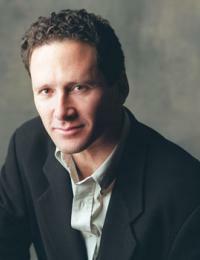 As at May 4, 2010, Tim Golden served as a Schwartz Fellow for the New America Foundation. Founded in 1999 by Ted Halstead, the Foundation is a leftist public policy institute which claims to be nonpartisan, and seeks pragmatic solutions to "the next generation of challenges facing the United States". This page was last modified on 14 July 2010, at 21:40.